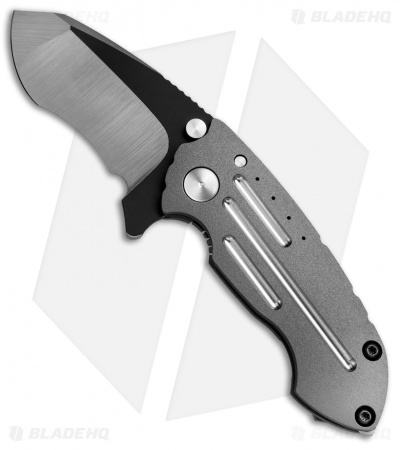 This Custom S-90 folder from Direware Knives offers a solid design with heavy duty construction you can depend on. It features a two-tone recurve blade made from CPM-S110V steel with a compound grind. It deploys smoothly via a blade flipper, and locks open with resounding authority. 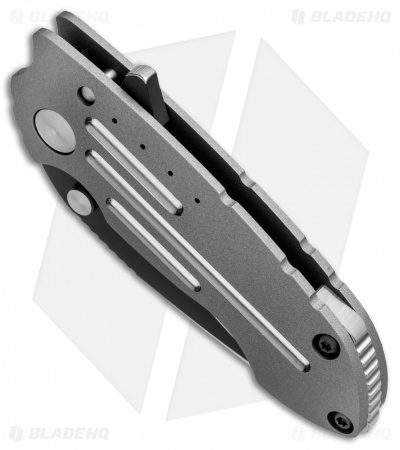 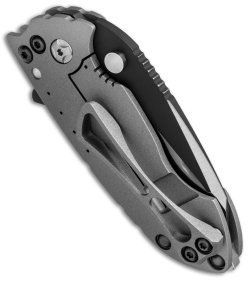 The titanium frame lock handle has a tumbled finish and machined grooves for improved grip. 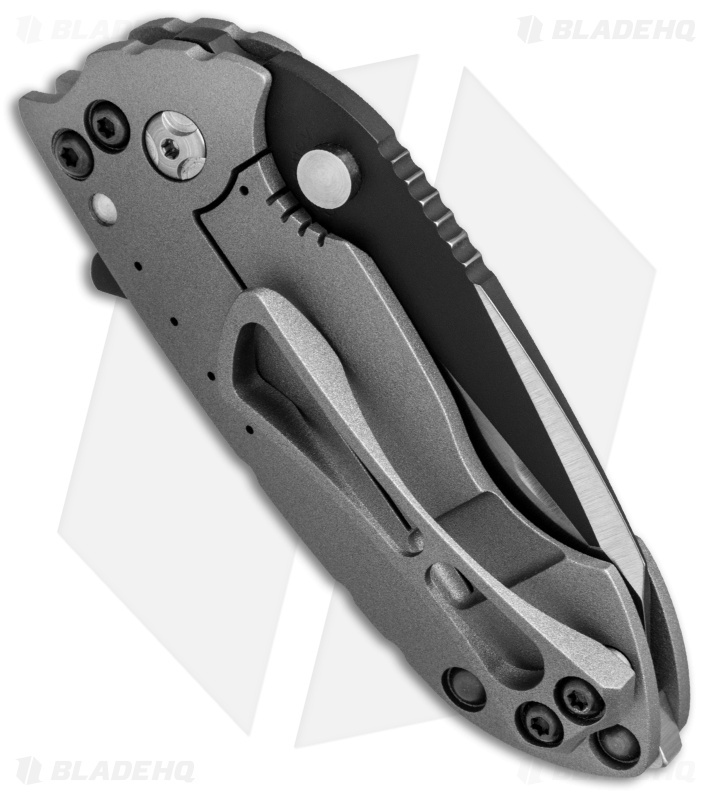 A stainless steel backspacer and a skeletonized titanium pocket clip add a nice finishing touch to the design.